This French-bred, highly popular potato is the salad variety of choice of many discerning chefs. 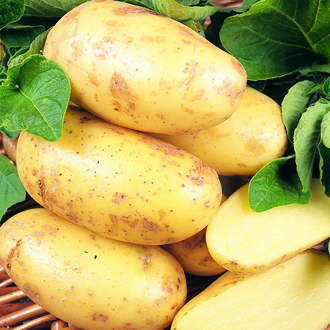 The smooth skinned tubers have a light yellow flesh which has a wonderful flavour and delightfully waxy texture. A further advantage is its resistance to scab and blight making it a must for all potato lovers!